The programme was launched in the Department of Paediatrics and Child Health with the support of grant funding from the USA based ELMA Philanthropies foundation. Countries in Africa have historically experienced a shortage of qualified paediatricians and paediatric sub-specialists largely due to a lack of training opportunities. For every 100 000 children in Africa, only one paediatrician is available – this statistic highlights a major skills shortage when compared to the availability of 99 paediatricians per 100 000 children in the US. In 2016, according to data released by the World Health Organization, 48% of global deaths of sick children aged under five were in Africa. Africa desperately needs more qualified doctors in paediatric health and the Programme is contributing to delivering these doctors and ensuring they are trained for the African context. 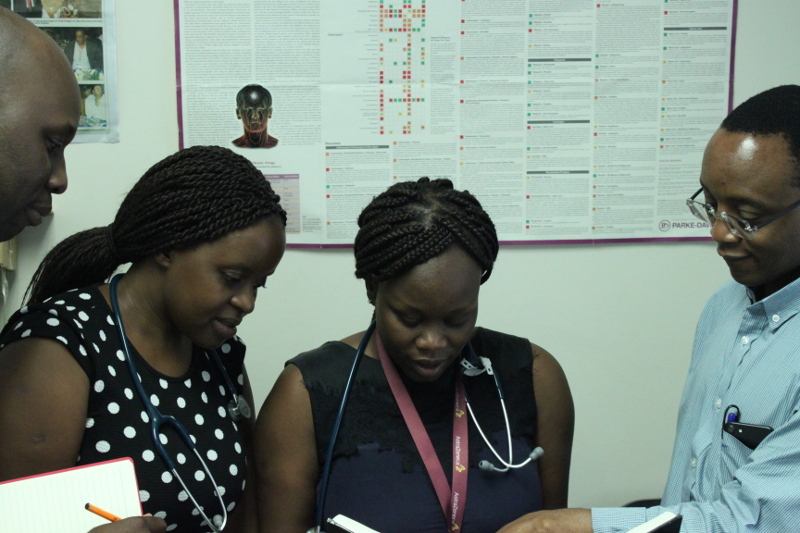 The UKZN APFP equips Doctors with specialist and sub-specialist paediatric skills and knowledge they need through complimentary Fellowship schemes led by Professor Refiloe Masekela, Head of Department; and Dr Lawrence Mubaiwa, Programme Director. The APFP Fellowships are trained in the Department of Paediatrics and Child Health at the University of KwaZulu-Natal, and Paediatric Sub-specialties at Inkosi Albert Luthuli Hospital, and General Paediatrics at UKZN Teaching Hospitals complex. The programme’s curricula and practice-based learning are tailored to address the child health priorities and capacity building needs identified by African partner hospitals and national health departments. Fellows return to their home countries with new skills, knowledge and qualifications that are relevant to their country specific needs upon completion of training. APFP graduates become leaders and change makers who make quality care a reality for children across Africa, leading important developments in child health systems, policies and services. The training programme collaborates with two other South African training universities, African partner universities and hospitals, to create a network on the continent that enhances the training programme and supports Fellows on their return. The APFP financial support covers tuition fees, travel from home countries, accommodation, and meals for all Fellows while they are in South Africa.